Upstate New York, at the confluence of the great Hudson River and its mighty tributary the Mohawk –from this stunning landscape came the creation of a new world of science. In 1887, Thomas Edison moved his Edison Machine Works here and in 1892, it became the headquarters of a major manufacturing company, giving the town its nickname: Electric City. The peak of Autumn, 1919: The pull of scientific discovery brings Charles Proteus Steinmetz, a brilliant mathematician and recent arrival from Ellis Island, to town. His ability to capture lightning in a bottle earns him the title “Wizard of Electric City.” Barely four feet tall with a deeply curving spine, Steinmetz’s physical deformity belies his great intellect. 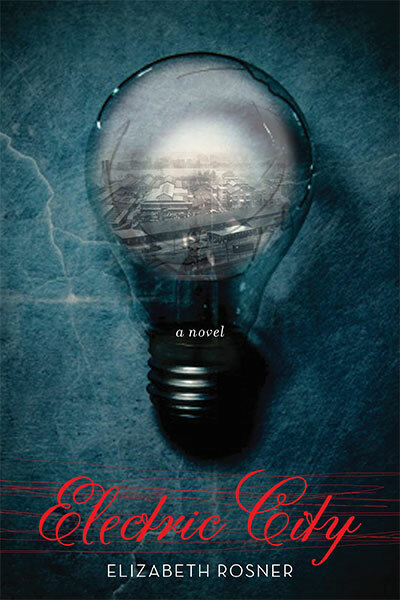 Allied with his Mohawk friend Joseph Longboat and his adopted eleven-year-old granddaughter Midget, the advancements he makes in Electric City will, quite simply, change the world. The peak of Autumn, 1965: Sophie Levine, the daughter of a company man, one of the many scientists working at The Company, whose electric logo can be seen from everywhere in town. Her family escaped Europe just before World War II, leaving behind a wake of annihilation and persecution. Ensconced in Electric City, Sophie is coming of age just as the town is gasping its last breaths. The town, and America as a whole, is on the cusp of great instability: blackouts, social unrest over Vietnam, and soon the advent of the seventies. Into her orbit drifts Henry Van Curler, the favored son of one of Electric City’s founding Dutch families, as well as Martin Longboat, grandson of Joseph Longboat. This new generation of Electric City will face both the history of their town and their own uncertain future, struggling to bridge the gap between the old world and the new. Electric City is a vital, pulsing, epic novel of America, of its great scientific ingenuity and its emotional ambition; one that frames the birth and evolution of its towns against the struggles of its indigenous tribes, the immigrant experience, a country divided, and the technological advancements that ushered in the modern world. ELECTRIC CITY is now available in audio format, narrated by yours truly! Picture the logo—you can still see it anywhere. A monogram of curling letters meant to look like someone’s handwriting, adorning some appliance or other, your fridge or your stove, maybe a washing machine, a dryer. Now picture it huge, glowing neon white above the factory headquarters whose dull red facade shadowed a stretch of the Mohawk River. You could see it from the bridge, driving away from or toward downtown, with the river flowing dirty and despondent below. You could see it from all over town, and even in your dreams, hovering with incandescent power above elms and train platforms, above barns and telephone poles. Sometimes it seemed to cast a particular glow onto the mossy brick of the campus residence halls, the stately ones bearing plaques engraved with the Van Curler name. And sometimes it left an eerie sheen on the gravestones in the Vale Cemetery, that place where the living and the dead still meet. In a company town, everything wore The Company insignia. “Live better electrically!” the slogan said. Everyone believed it.